Marshall “Pat” P. Robenhagen, age 79 of Marion, passed away Thursday, June 7, 2018 at his home. Marshall “Pat” Patrick Robenhagen was born April 11, 1939 in Shawano, son to the late Milton & Aurelia (Whittaker) Robenhagen. He grew up in Shawano and attended Shawano schools until 6th grade, when the family moved to Marion. 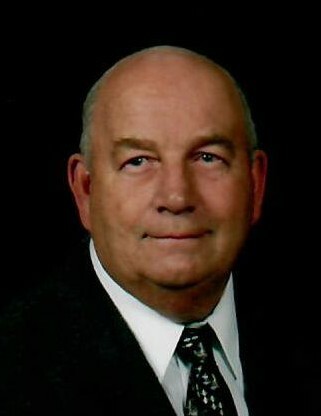 Pat graduated from Marion High School in 1957 and attended one year of college in Stevens Point, after which he enlisted in the United States Navy. He served as a hospital corpsman medical specialist both with sailors and Marines alike; his military service took him to the Pacific islands and Japan. After Pat’s honorable discharge from the Navy, he returned home and met Rozanne Westphal at the Caroline Ballroom. Pat and Rozanne were later united in marriage on July 28, 1963 at Immanuel Lutheran Church, Town of Grant. Pat was employed briefly at Coated Paper, Appleton, and later started working for F.W.D./Seagrave in April of 1964. He worked as a welder and also in the paint department, retiring in 2005. Pat was a current member of St. John’s Lutheran Church, Marion. In his younger years, Pat was a gifted baseball player with the Marion City Team. He later was well known in the area for his softball pitching abilities with the Over-The-Hill Gang softball team. The family spent many weekends together at tournaments over the years. Pat’s biggest legacy was the time spent outdoors hunting & fishing with his sons and grandchildren; he loved sharing his knowledge with them and just loved to be outdoors. He liked to grow vegetables in his garden and play card games with friends, like Sheephead. Pat will be remembered as a great father and grandfather who loved his family dearly. Pat was preceded in death by his parents & his father & mother-in-law, Edwin & Gertrude Westphal. Memorial services will be held 11 AM, Monday, June 11, 2018 at St. John’s Lutheran Church, Marion with the Rev. Beth Macha officiating. Inurnment will take place at Greenleaf Cemetery, Marion, with military honors conducted by the William Bertram American Legion Post #198 of Marion. Friends may call on Monday at the church from 9 AM until the time of the service. The Eberhardt-Stevenson Funeral Home & Crematory of Marion is assisting Pat’s family.